A beautiful place with stylish interior and spacious rooms. 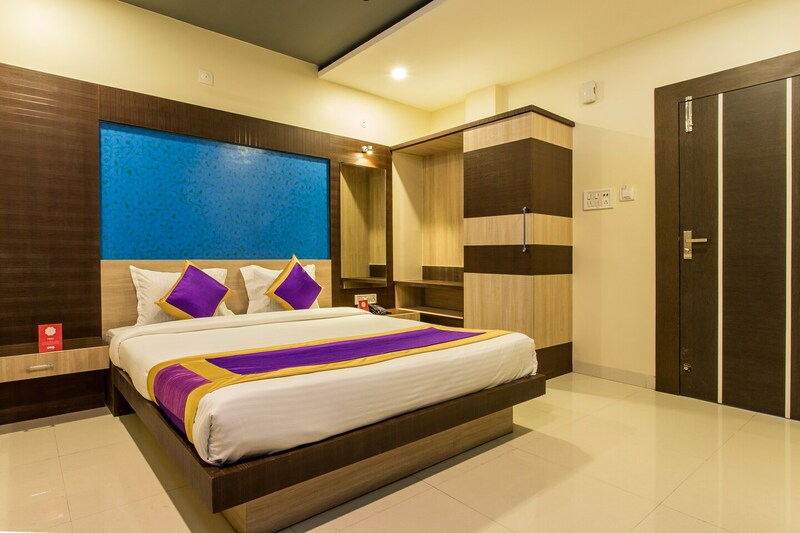 Hotel Malwa Inn is a fine place with a simple external structure and a stylish interior decor that attracts people. The bedrooms at the hotel have light colored walls and dark wood furnishings with soft overhead lights. The accent walls in the room is done in colourful wallpaper and elegant wooden panelling, making the space appealing for the guests. The bright cushions add bursts of colour to the room, making the space lively and vibrant. The hotel provides its guests with free Wi-Fi and power backup so that they can remain connected with the rest of the world. Other amenities offered by the hotel are a geyser, laundry and parking facilities and a card payment option.